Do you worry about overeating after your workout? Can't control your urge to eat a cheeseburger or pancake? Don't worry, you are not alone. Read on to learn about why you go hungry after exercising and what to do about it. If you would prefer not to red about the reasons, scroll to the bottom of the article for the three very helpful tips. Why do we tend to crave mo​re food after working out? It can become a challenge to keep up with your workout routine if you notice that you eat more food than you should after working out. Having said this, 20 to 30 minutes of regular exercise is essential for not just burning fat or losing weight, but also for avoiding visits to the doctor and feeling happier overall. So, instead of jeopardizing your fitness altogether, understand the reasons behind it and follow the useful tips that fitness professionals use to stay lean and avoid binging on food. Doing high-intensity interval training (or HIIT) can help. Such bursts of energy can prove helpful in suppressing your hunger hormone. A research study showed that HIIT demonstrates positive results in appetite suppression, weight loss, hormone balance, and energy expenditure. High-intensity workouts are also better for improving your physical strength and controlling the metabolism too. If you feel hungry after an intense workout session, it could be a sign of dehydration. It's likely that your body may mistake thirst for hunger, which is why you need to be hydrated during the workout. Dehydration also leads to more wear and tear in the muscles, so you should avoid it at all costs. If you find it challenging to keep a track of your water intake, there are mobile apps available on the app store which will keep reminding you of drinking water at your chosen intervals and also note the amount of water intake on a daily basis. After workout: For every single pound of water your body loses after a workout session, you need to replace it by consuming 16 to 20 ounces of it. Also, if your urine is dark, then you're probably dehydrated and need to drink more water going forward. You can change the results from your workout regime just by altering your perception about exercising. Researchers at the Cornell University have figured out a link between your psychology and food cravings post-workout. 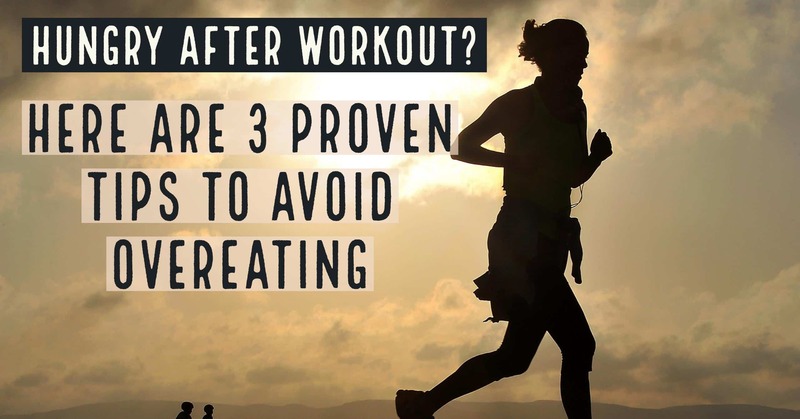 According to the study, if you think about working out less as a task and more as something you enjoy doing can help reduce the post-workout cravings. 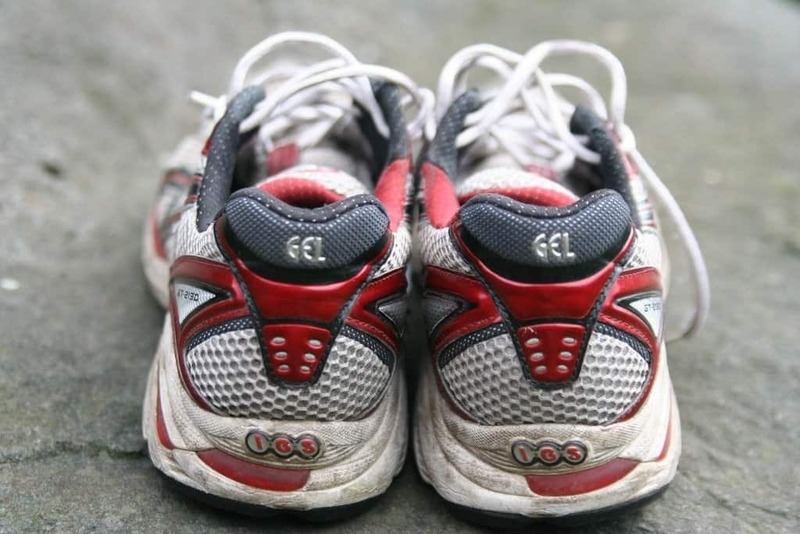 Researchers asked volunteers to walk 1.4 miles. Half of them were told it was for the purpose of exercise and the other half were told that it was just a stroll to enjoy the scenery. The "exercise" group ended up eating 35% more dessert (chocolate pudding, in this case) than the "scenic stroll" group. Another experiment showed similar results when volunteers were given post-walk snacks. The "exercise" group consumed 124% more calories as compared to the other group.Adding zeal to your workout routine may also help a lot. If you love music, find the right pair of headphones to amp up your mood. Create the perfect environment and mindset for following the routine, so that you look forward to working out instead of just "showing up". Our body tends to burn a good deal of calories during a workout session and hence the cravings to make up for that loss. The reason behind this is the depletion of Glycogen levels in the body. Glycogen is responsible for the sudden boost of energy in the body in the moments the situation demands it. Such situations include fight-or-flight encounters and working out too. In order to replenish the Glycogen levels, you need to eat foods high in calories. So even if you've taken care of the top 3 reasons, chances are you may still go hungry and overeat. It's advisable to eat a pre-workout snack at least half an hour before your workout session. This will help not just improve your performance but also avoid depletion in energy stores of your body. Make it a habit of eating a low calorie, high-protein, high-carb snack after working out and eat your dinner at a little later time. Here's a list of 20 snacks that burn fat too. If you decide to stick with this plan of action, you will feel satiated by eating less. Slowly and gradually, your body will adapt to this new healthy eating habit. Many of us have developed a habit of eating mindlessly while being busy with our lives. Multitasking and distractions have ruined the meal. If you put aside all the distractions of the modern life, from TV to cell phones—you will spend more time deriving satisfaction out of your meals, which in turn will make you feel less hungry later on in the day. At times, you may feel as if you really need to increase your daily intake. But if you are not running more than an hour per day, you probably don't need to increase your diet. Having said this, you still need to ensure that you are recompensating the body adequately post-workout. A high-intensity interval training (HIIT) session can use up your body's glycogen reserves, so you will need to increase the ratio of carbs to protein. It's advisable to go for a 3:1 to 4:1 ratio (carbs to protein). For supporting an intensive weight-training workout that usually results in microtears in the muscles, the body needs a meal that has a ratio of carb to protein around 2:1 or 1:1. One of the best solutions is to mix fruits (which act as fast-acting carbs) and high-fiber whole grains (slower-acting carbs). Such a blend will be helpful in restoring the glycogen levels pretty quickly, since adding protein to carbs is proven to increase the process of glycogen resynthesis. This will support the refueling of muscles and repairing any tissues damaged during the day. Consuming low-fat dairy is also a great option as a recovery food. It provides a decent amount of protein to fill you up until your next planned meal. In addition to this, studies have shown that drinks like ﻿low-fat chocolate milk can help improve athletic performance﻿ much better than regular sports drinks. Keep a food log and be aware of hunger cues - If you are feeling at a particular time of the day, say after workout - it's probably your body's way of saying that it needs a refuel. But most of us chose to eat things high in refined carbs or sugar - which results in a poor diet and more cravings. Eating whole, raw foods, and avoiding the processed foods as far as possible is the key. By bringing this change to your lifestyle, you can tune into specifically what your body actually needs and improve your performance significantly in the long run. Take the cravings seriously - You should not ignore the signs of real intense hunger. In case you feel dizziness, high irritability, sleepiness or lack of concentration, it's quite likely that you have a low blood sugar and you need to refuel the body with adequate nutrition as soon as possible. Because anyways, later on, you will get hungry and then crave food loaded with fat and sugar. It just makes sense to feed yourself with a low-cal food in case you find yourself seriously starving after a workout, because your body needs an energy-dense food as fast as possible. So rather than consuming a low-fat yogurt after the gym (which has only 150 calories), many people end up munching on two chocolate brownies (600 calories) an hour or two later. What Makes a Good Meal Plan for Runners?